Geographically speaking, the nations of Georgia, Armenia, and Azerbaijan lie between the Black Sea to the west and the Caspian Sea to the east. But is this part of the world in Europe or in Asia? The answer to that question depends on who you ask. Why Are Europe and Asia Different Continents? Although most people are taught that Europe and Asia are separate continents, this definition isn't entirely correct. A continent is generally defined as a large mass of land occupying most or all of a single tectonic plate, surrounded by water. By that definition, Europe and Asia aren't separate continents at all. Instead, they share the same large landmass that stretches from the Atlantic Ocean in the east to the Pacific in the west. Geographers call this supercontinent Eurasia. The boundary between what is considered Europe and what is considered Asia is a largely arbitrary one, determined by a coincidental mix of geography, politics, and human ambition. Although there are divisions between Europe and Asia dating back as far as ancient Greece, the modern Europe-Asia border was first established in 1725 by a German explorer named Philip Johan von Strahlenberg. Von Strahlenberg chose the Ural Mountains in western Russia as the hypothetical dividing line between the continents. This mountain range stretches from the Arctic Ocean in the north to the Caspian Sea in the south. The precise definition of where Europe and Asia were located was debated well into the 19th century, as the Russian and Iranian empires battled repeatedly for political supremacy of the southern Caucasus Mountains where Georgia, Azerbaijan, and Armenia lie. But by the time of the Russian Revolution, when the U.S.S.R. consolidated its borders, the issue had become moot. The Urals lay well within the Soviet Union's borders, as did territories on its periphery, such as Georgia, Azerbaijan, and Armenia. With the fall of the U.S.S.R. in 1991, these and other former Soviet republics achieved independence, if not political stability. 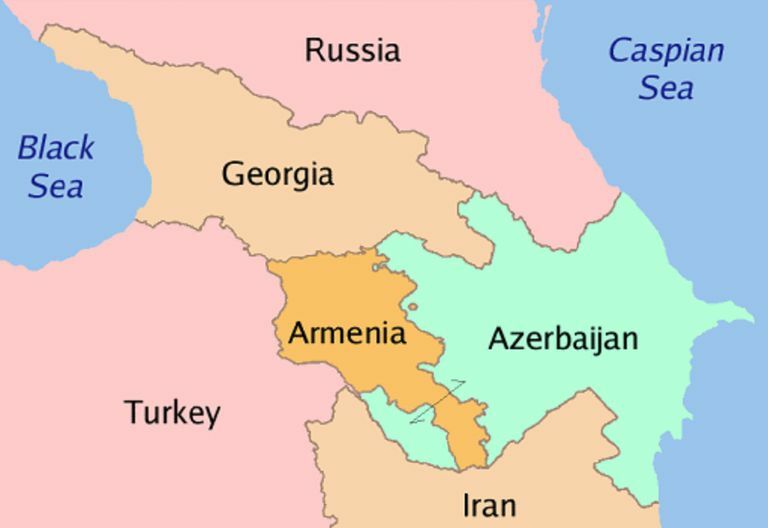 Geographically speaking, their re-emergence on the international stage renewed debate over whether Georgia, Azerbaijan, and Armenia lie within Europe or Asia. If you use the invisible line of the Ural Mountains and continue it south into the Caspian Sea, then the nations of the southern Caucasus lie within Europe. It might be better to argue that Georgia, Azerbaijan, and Armenia are instead the gateway to southwestern Asia. Over the centuries, this region has been ruled by the Russians, the Iranians, Ottoman, and Mongol powers. Politically, all three nation have tilted toward Europe since the 1990s. Georgia has been the most aggressive in opening relations with the European Union and NATO. By contrast, Azerbaijan has become an influence among politically nonaligned nations. Historical ethnic tensions between Armenia and Turkey have also driven the former into pursuing pro-European politics. Lineback, Neil. "Geography in the News: Eurasia's Boundaries." National Geographic Voices, July 9, 2013. Misachi, John. "How Is The Border Between Europe And Asia Defined?" WorldAtlas.com. April 25, 2017. Poulsen, Thomas, and Yastrebov, Yevgeny. "Ural Mountains." 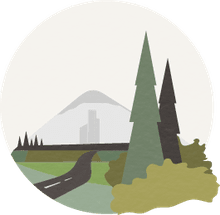 Brittanica.com. Nov 2017.